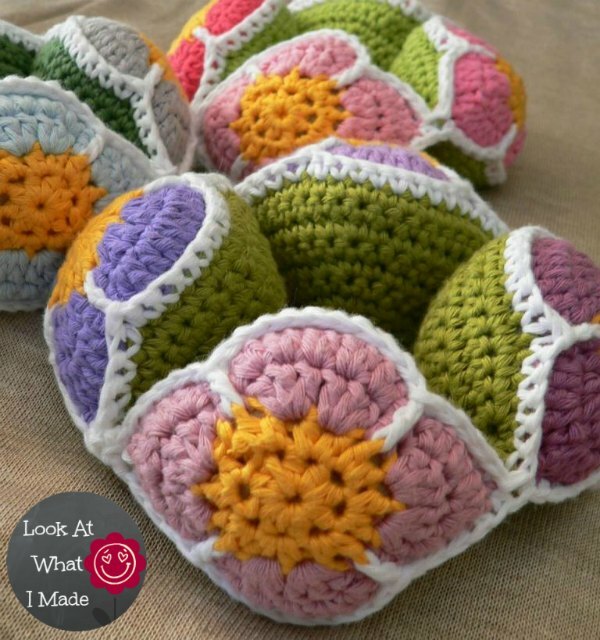 This crochet flower ball is based on the traditional Amish puzzle ball and as such comes apart into three segments that have to be assembled to form the ball. I wrote this pattern in 2011, but as it was one of my first patterns, it was sorely in need of a bit of tlc, so I have re-done it with clear photos and some better yarn. I remain obsessed with puzzle balls and their possibilities. 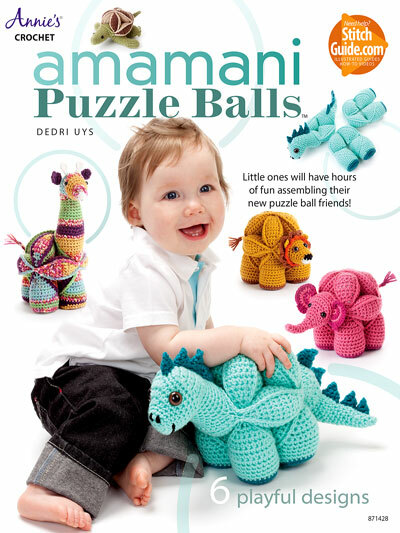 If you have not seen my Amamani (Amigurumi Amish Puzzle Animals) yet, you can find them HERE. The animals also come apart into segments so that little hands can have fun building AND playing. 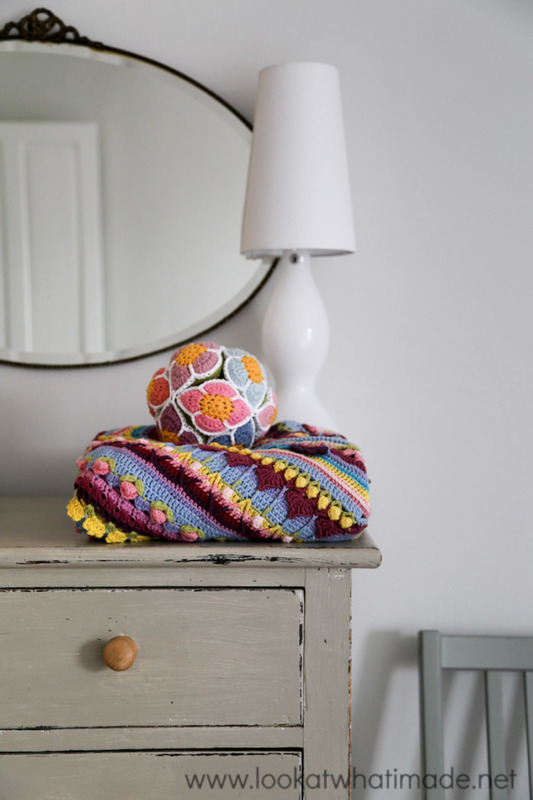 I have used Drops Paris Cotton and a 4 mm crochet hook (US G/6 UK 8) for my Crochet Flower Ball, but you can use any yarn and hook you fancy. 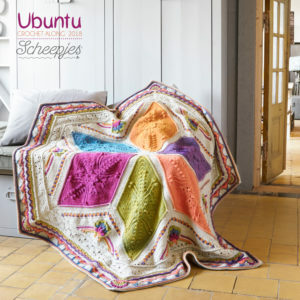 I do suggest NOT using a yarn that has a lot of stretch, as you will want to stuff the wedges quite tightly without them stretching too much. The initial ch st’s in each round are NOT counted as stitches. 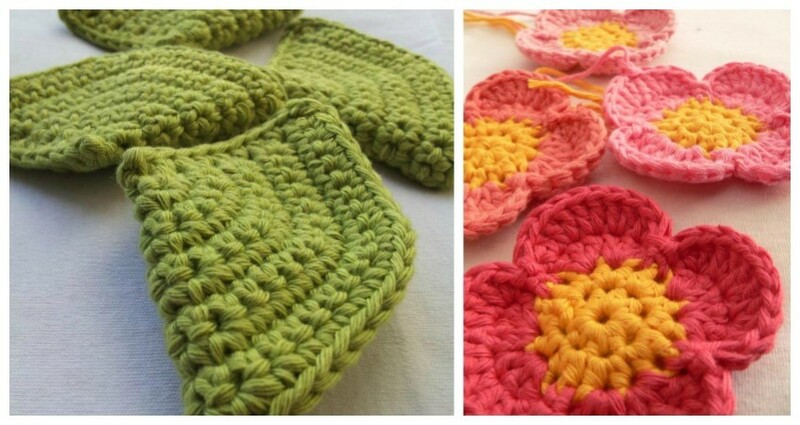 Make 12 flowers following this Simple Crochet Flower pattern. When you fasten off each flower, don’t work away your yarn ends. You can if you really really want to, but the ends will be hidden inside the wedges when you assemble them, so don’t bother. 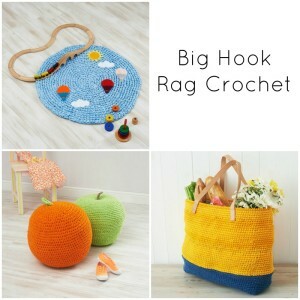 Fold the resulting half-circle (for lack of a better description) in half, with the side farthest away from the hook to the back. Place the initial tail of yarn INSIDE the folded wedge (not dangling out like in the photos below), to save yourself some working-away later on. Insert your hook into the first row down the side of the wedge (through both layers) and make a sc. Make 8 more sc along this edge, working through both layers of each row. Ch 1 and fasten off. I have done it in yellow so that you can see it better, but you will obviously be doing it in the same colour as the wedge. 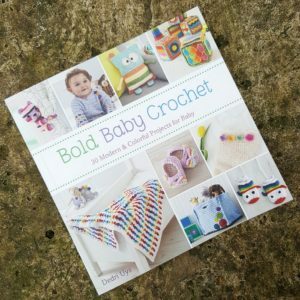 To get rid of that final yarn end, poke your crochet hook into the pointy end of the wedge from the inside of the wedge to the outside. Yarn over with the final end and pull it into the wedge. 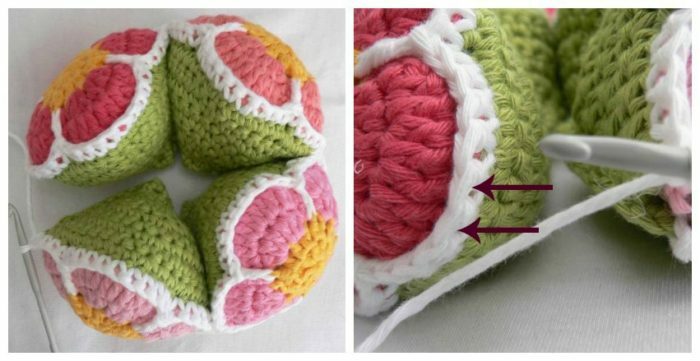 Use both yarn ends as part of the stuffing for your wedges later on. 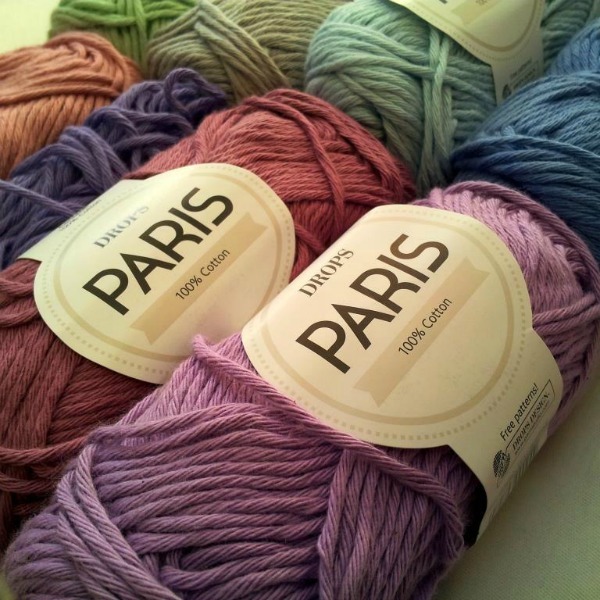 Remember to place the yarn ends INSIDE the wedges as you crochet them shut. You are going to be attaching the flowers to the wedges in strips of 4, which you will then join together to form your segments (or rings). If you are confused at this point, don’t worry. As you work, all will become apparent. If you are REALLY confused, scroll down and have a look at all the photos before you continue. Take one of your flowers and place it over the opening of one of the wedges, making sure that the sc seam of the wedge is to your right (left if you are left-handed). You want the right side of the flower to be facing out and it should sit over the wedge like a lid. 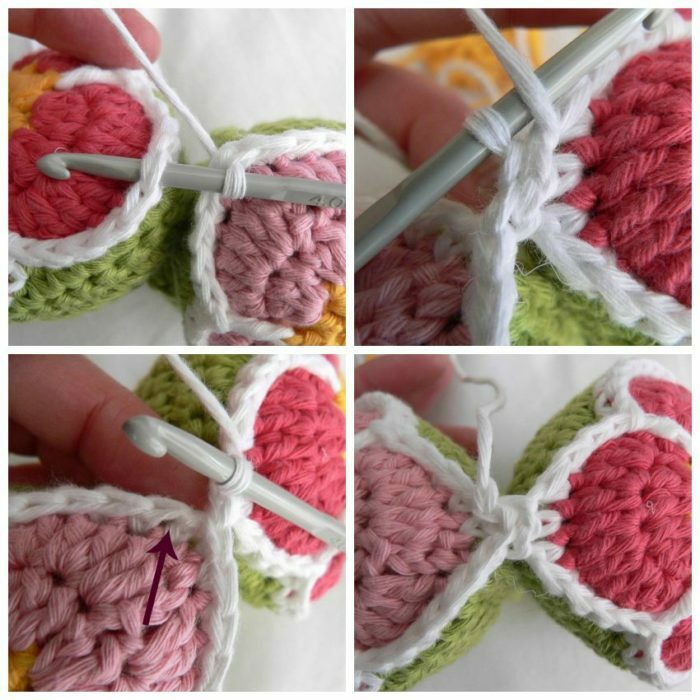 Take the yarn you are going to use to attach the flowers to the wedges and make a slip knot. With this slipknot already on your hook, insert your hook into the st after the sl st join of the flower AND into the first st of the last round of the wedge. Make a sc through both layers. Make 4 more sc, working into each st of the flower AND the wedge. This will bring you to the 2 sl sts. Fpdc around the vertical post of the st 3 rounds below. In this case, it will be the yellow vertical post below the join of the petals. Skip the 2 sl sts between petals and make 10 sc, working into the stitches of the next petal AND the next 10 sts of the wedge (through both layers). Fpdc around the vertical post as before and skip the 2 sl sts. Make 5 sc, working through the first 5 sts of the next petal AND the next 5 sts of the wedge. At this point ,you have attached half the flower to half the wedge. Now you will attach the next flower in the same way. Attach the next 2 flowers and wedges in the same way, repeating the instructions between asterisks (*) above. You should end up with a strip of 4 flowers and wedges, each attached to the next on one side only. You will now “close” the wedges, so continuing around the fourth wedge, repeat the instructions between asterisks above. Remember to stuff your wedge thoroughly before closing it completely. If you use too little stuffing, your ball will be lifeless and slightly blah. If you use too much stuffing, you are going to struggle VERY much to assemble your ball. I over-stuffed this one a tiny bit, so I can’t see any of us taking it apart and building it very much. But the resulting ball is surprisingly heavy and the boys love it! At the bottom of this pattern, you can find out about using stuffing bombs to prevent stuffing from poking out through the stitches. 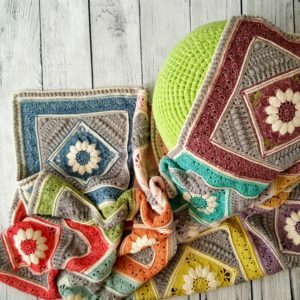 When you have finished working the stitch pattern between asterisks, you should have worked into each stitch of the last flower AND each stitch of the wedge, bringing you to the junction between flowers. Sl st into the first st of the flower (which already contains a sc) and then sl st into the first st of the next flower (which also already contains a sc) – indicated with arrows in the photo below. Keep your tension very tight when you are making these sl sts. You don’t want a gaping hole between flowers. 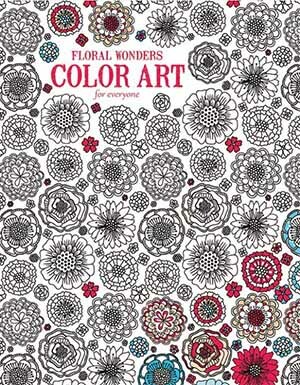 Now repeat the instructions between asterisks above for each remaining flower, starting in the next available stitch of the flower AND remembering to work through both layers. Remember to stuff as you go. 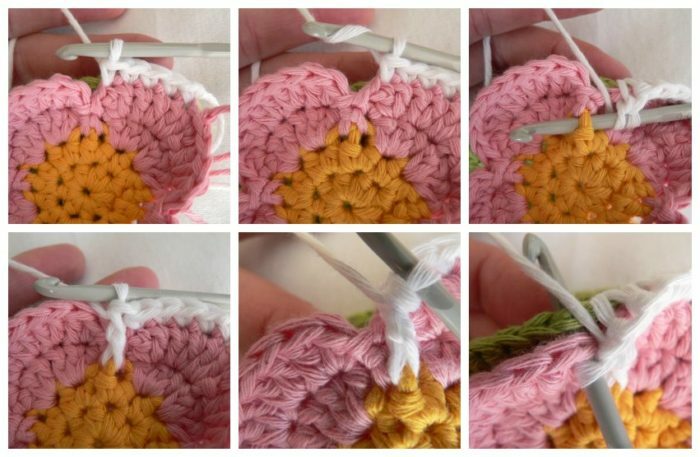 Remember to sl st into the stitches on either side of the junction (as above) between flowers. When you have closed all four wedges, sl st in the first st of the first flower (indicated with an arrow below). Bend the wedges into a ring so that you can attach the first and last flowers to each other. The first and last wedges should be touching each other. You will be joining the first and last flower to each other by making 2 sl sts into the middle of the third petal of the last flower (indicated with arrows in the photo below). To do this, insert your hook into the 6th st of the third petal of the last flower and make a sl st (photo top left below). Now insert your hook into the 5th st of the last petal and make a sl st (photo top right below). Anchor the join by making a sl st into the next st of the FIRST flower (bottom two photos below). Fasten off and work away your ends. Congratulations! You have just completed one segment (or ring). Now finish the other two segments in the same way, and build your ball. 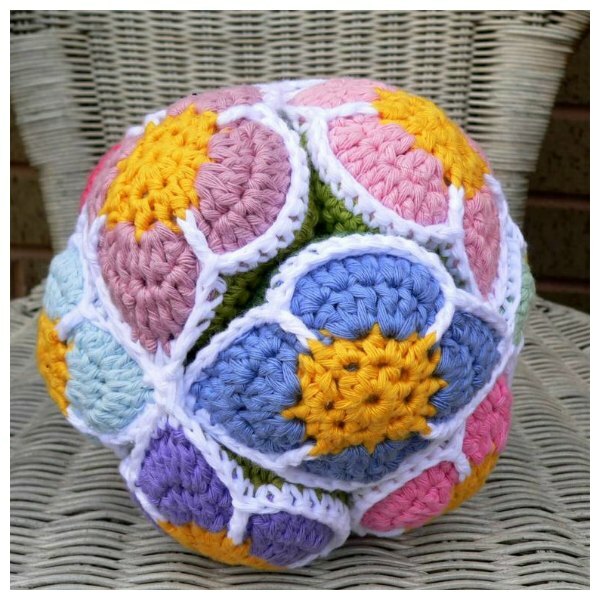 You can find a hint for building the ball in my original Crochet Amish Puzzle Ball Pattern. Just remember that this ball takes a lot more elbow grease to assemble. Don’t be afraid to pull and stretch and squeeze to get the segments over each other. And once you are done building, it’s not just magically going to look perfect. You will need to poke and prod the wedges a little bit to make the ball nice and neat. 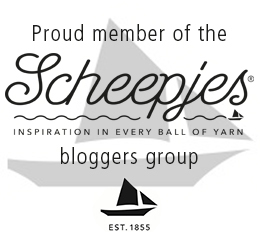 If you are worried about the stuffing poking out through the dc stitches, I’ve got a little hint for you. Remember how granny used to tie moth-balls in pantyhose and hang them in the cupboard? Well, these stuffing bombs remind me of those mothballs. 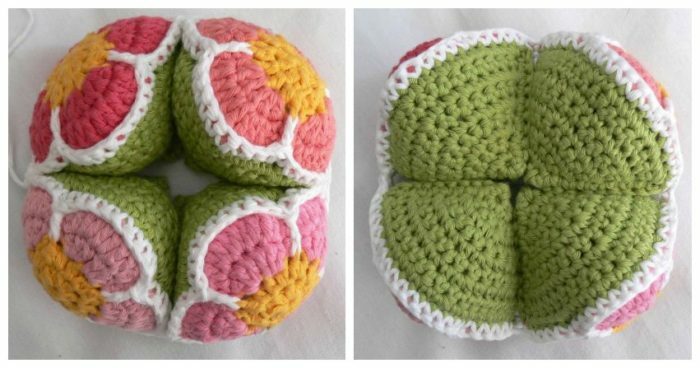 Once you’ve stuffed your first flower as much as you think you will want (stuffing pressed down and slightly bulging out), remove the stuffing and weigh it. Then weigh out 11 more equal clumps of stuffing (7 g of manky old pillow stuffing in my case). Cut the legs of a pair of pantyhose into segments (about 10 cm or 4″ each). Knot the resulting tubes on one end, moving the knot as close to the end as you can. Stretch the “tube” and place your stuffing inside. Knot the other side to close the little stuffing bomb and cut off any excess pantyhose. Now pop one of the stuffing bombs back into the wedge (more like squeeze it in) and continue closing it. 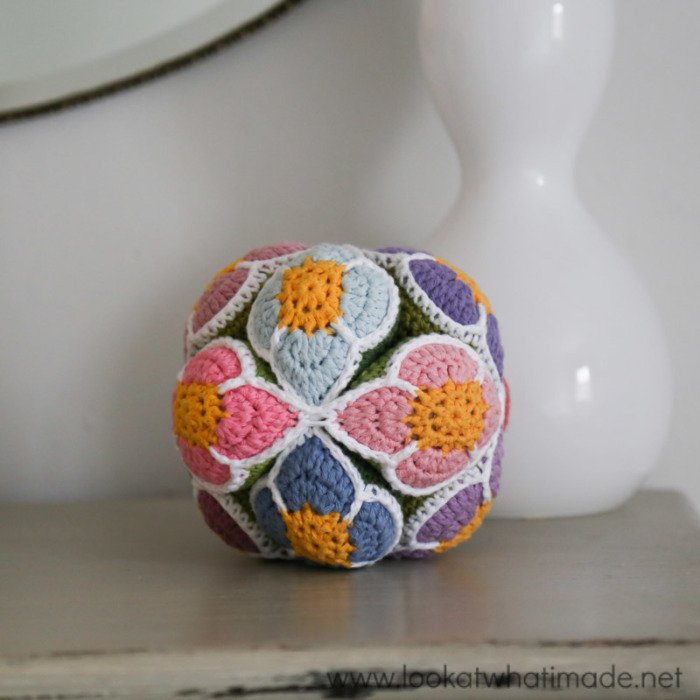 I hope you enjoy making (and playing with) your Crochet Flower Puzzle Ball. 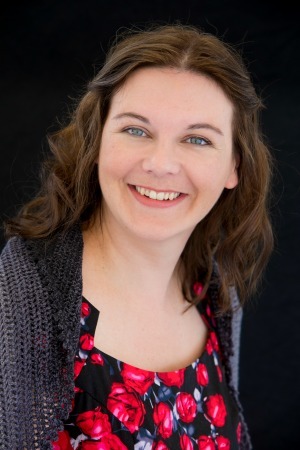 If you have any questions, please don’t hesitate to contact me so that I can help you. Lovely pattern! Just what I was looking for to make for my mother-in-law with Alzheimers. She has a few of the fidget blankets but I thought this would be interesting for her too. Thank you!! 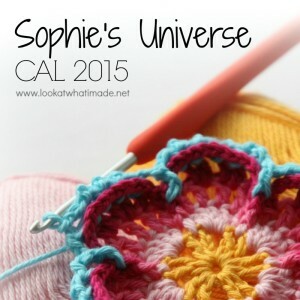 Just wanted to let you know that I love all your patterns I have made the Sophie’s universe and a lot more there all wonderful. I wanted to ask if it’s OK to translate the Amish flower Ball pattern to Spanish to give to a friend of mine. It’s for her personal use. Please let me know as of now I have not done it for her. Thank you for your wonderful patterns. Hi Susan. I really don’t think age matters with this one. My (then) 5-year old couldn’t take it apart and put it together again, but he had a whale of a time throwing it everywhere and cuddling it in bed. Hi. 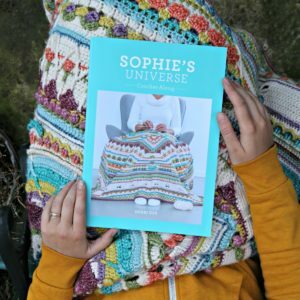 Just wanted to pop in and say thank you for the super easy to follow patterns. I learned 3 new “things”, firstly read the actual pattern first (made 12 wedges using the continuous round method and wondered all the while, how I was going to join a 30 st wedge to a 40 st flower). Starting a magic ring with hdc is way easier when you get to round 2, and doesn’t make much difference in size. 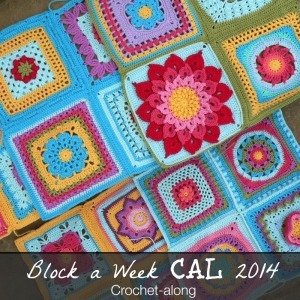 Beginning to join 2 pieces together, use a slip stitch…brilliant. Hi Lucia. 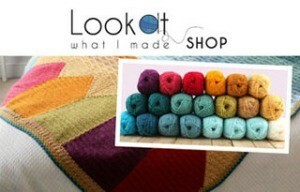 I am so pleased that you managed to take so much away from that pattern. Don’t you just love how we can always figure out new things in this craft? Have you shared any of your photos? I’d love to see. I hope I’m not being incredibly dense, but do you have a pattern for the beautiful blanket on which your wonderful flower puzzle rests in the last photo (with the lamp and mirror)? I’m glad I stumbled upon this one as I love it more than the original for my baby grand-daughter.